To make you glamping experience even more luxurious. we provide delicious home cooked meals as well as hand picking the very best local treats. Go on indulge yourself. The onsite shop stocks delicious local produce from Somerset cheese to the basics like bread and milk. We also offer a selection of homemade ready meals. You are also more than welcome to forage blackberries, sloes, apples and pears from the grounds depending on the time of year you are with us! Somerset is famous for cider and it is an important part of the areas history. For an authentic experience, visit Mugley Cider Farm for proper scrumpy and amazing cheese. Or for something a little more sophisticated, Somerset Cider Brandy Company in Martock is a really great place to visit. Cook your own pizzas in our very own pizza oven. Each pizza costs 10 pounds and comes with locally sourced high quality toppings. Learn how to shape the dough, spread the sauce and sprinkle the toppings. A great activity for all the family. We will make sure you have access to a range of wines, beers and soft drinks. To really unwind after a long walk, head to Charlton House and book in for a premium treatment in a decadent spa in a stunning country house. Alternatively, we have a relationship with a local hair dresser and beauty salon so if you fancy treating yourself whilst you are here then let us know. If you feel like venturing out, we recommend the Red Lion in the idyllic village of Babcary for a traditional pub experience with a great menu of locally sourced ingredients. We provide a full list of local restaurants and take aways in the lodges but if you'd like to book in advance of your stay, just let us know and we can handle reservations for you. 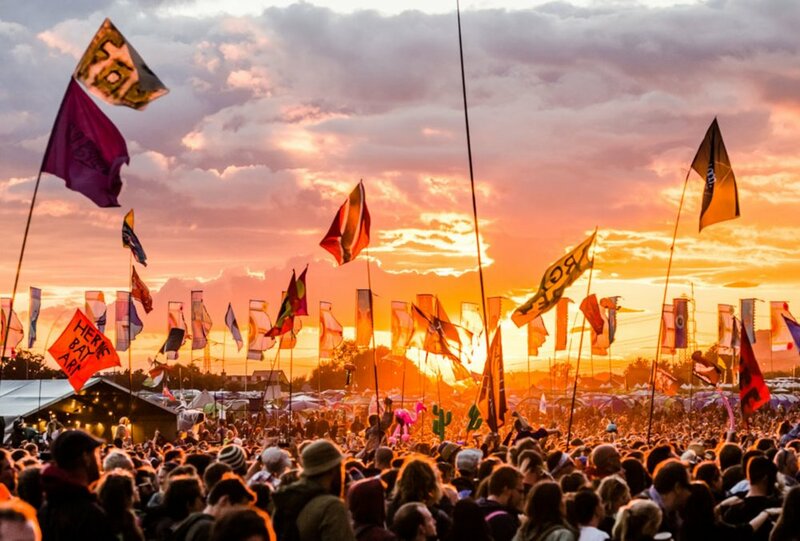 Exclusively for Glastonbury Festival, we offer a V.I.P Land Rover Discovery shuttle service to and from the festival site, delivering you right into the action and bring you back to rest up in luxury. Included is special access to hospitality entrance Please email us to be added to the waitlist for 2019.